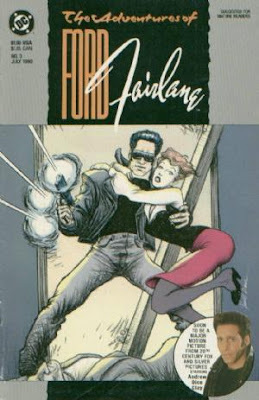 Twenty years ago today, on July 11, 1990, the would-be action comedy The Adventures of Ford Fairlaine was released in theatres. What to think of this film looking back two full decades? Directed by Renny Harlin, and written by a whole host of writers, , the film was shot and conceived in the dying days of the 1980s, and it shows. Brash, rude, and obnoxious, the film served as a vehicle for Andrew Dice Clay, who at that time was attempting to mainstream himself in an attempt to reach greater stardom. His effort failed, and pretty badly, at that. I remember seeing this film in the theatres, and the experience was literally an accident. I had won a free pass from a radio station contest for a showing of Air America, which was overbooked. 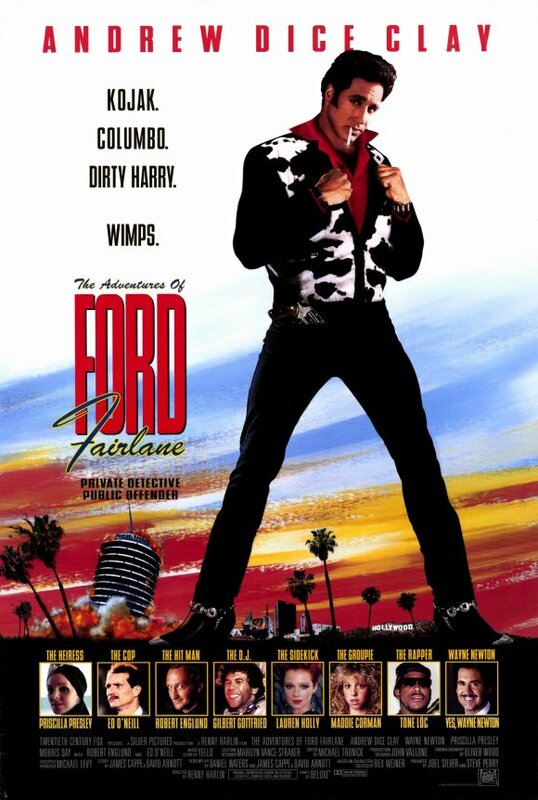 So, the theatre usher suggested I see another film, that being Ford Fairlane. 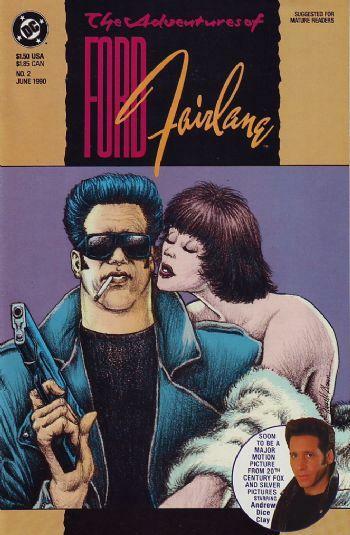 I knew little about Andrew Dice Clay at that time, save for the recent controversy surrounding his appearance on "Saturday Night Live" just two months earlier and the chatter of a few middle school companions who had somehow familiarized themselves with his vulgar oeuvre. But for a mostly dumb film about a rock and roll detective featuring a reviled comic, Ford Fairlane has an odd charm to it. 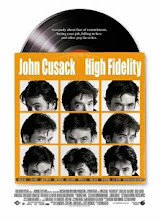 Clay plays the title characters, whose investigation leads him through the seedy ins and outs of the music profession, meeting a bizarre cast of characters along the way. 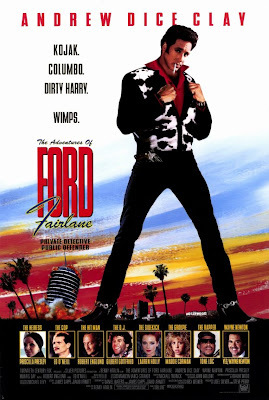 With a range of star cameos (including Vince Neil, Tone Loc, and Priscilla Presley) and featuring Wayne Newton as the villain, the film offers some amusing pop culture moments, though it's not great cinema. (Although the film does feature Ed O'Neill performing a dance called "Booty Time," which makes it certainly worth the rental, don't you think?). Perhaps they thought they were creating a franchise? Few emerged from this experience unscathed. Harlin also directed 1990's Die Hard II, released just a week before hand. After the Cutthroat Island debacle, though, his career never really recovered. 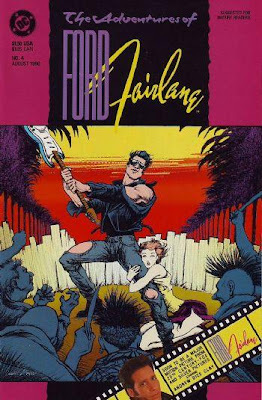 Clay's attempt at mainstreaming failed utterly, and he is mostly remember for being a vile comic whose career never made it past the early 1990s. For the most part, this film was the end of the line for him. 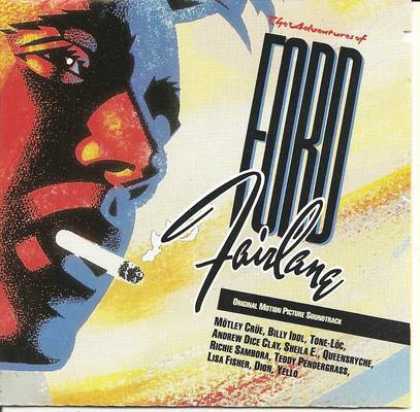 I remember being particularly fond of the soundtrack to the film, which featured a new tracks by Motley Crue ("Rock and Roll Junkie"), Queensryche ("Last Time in Paris"), and Bon Jovi guitarist Richie Sambora (covering Jimi Hendrix's "The Wind Cries Mary."). To boot, the soundtrack began with Billy Idol's "Cradle of Love," the video for which is probably the most remembered artifact from this would-be Hollywood comedy blockbuster. I loved this movie back in the day, but something tells me I wouldn't feel the same if I revisited it. Ed O'Neil was great in this. 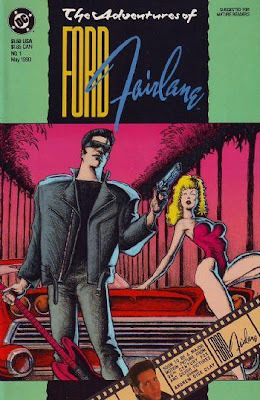 How dare you omit the famous Nola Ford Fairlane bet which was to shape the future of cinema history? Also: promising first third, but the jokes died in the face of a dialed in plot, killing the quirky feel by the halfway point.